What if Sabrina or Eliza or some of your other favorite movie characters were living their stories today – as men? Tara Lain pays homage to some of our favorite movie romances and gives them a modern and unique twist in this popular contemporary series. 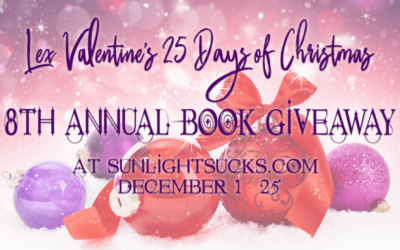 Win Tara Lain’s Return of the Chauffeur’s Son at Lex Valentine’s 25 Days of Christmas Giveaway! Today I’m a guest over at author’s Lex Valentine’s 25 Days of Christmas Giveaway! I’m giving away a copy of Return of the Chauffeur’s Son, one of my most popular romances.